Thomas Kalak is a photographer from Munich, Germany who specializes in the offbeat. 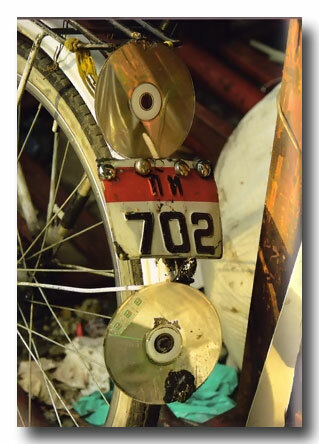 His subject is the curious art of found technology. He's accumulated a magnificent gallery of old American cars in Cuba called "Havana Oldtimers". 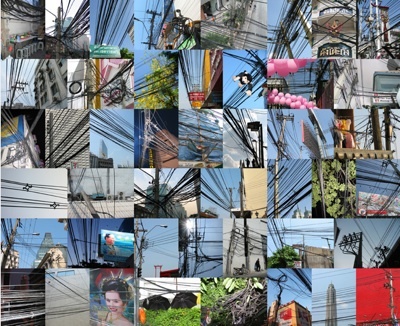 In Thailand he focuses on the often-seen but rarely-noticed jumble of wires that weave their way overhead every street. Adhoc in design, these almost organic nests have their own charm if you let them seduce you. 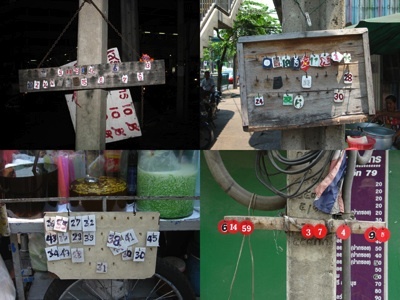 Kalak has collected an entire portfolio of Bangkok Wires. 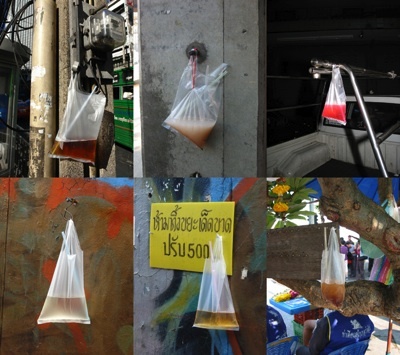 These and more are included in a new book about Thailand called "Thailand -- Same Same, But Different. No cliches here. No lovely maids, palm beaches or grand temples. Instead Kalak captures odd moments of street use. Plastic chairs in alleys; traffic cone patterns. Even the locals are blind to their off-center beauty. Kalak has a keen eye for the way folks improvise. I think of this work as improv zen. 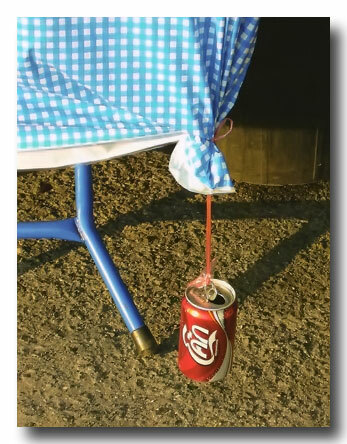 The ubiquitous plastic bag becomes an instant cheap bottle if you add a straw. And you can hang it anywhere. 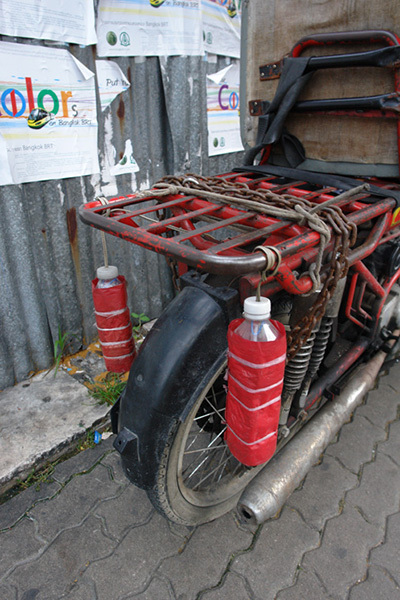 I think these are home-made brake lights. Suspended by a wire, a bulb inside a bottle covered with read plastic will light up at night. Filled with water this can keeps the table cloth from blowing away. 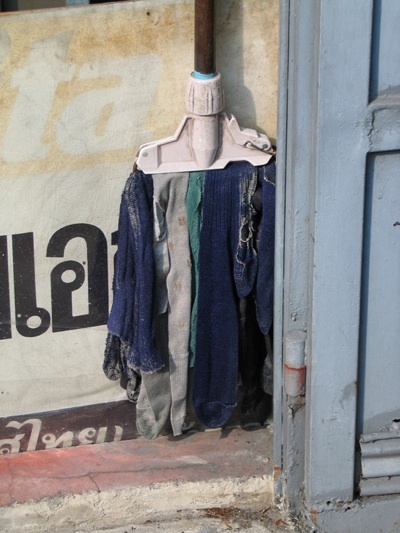 A mop made from old socks! !